This entry was posted on Tuesday, October 14th, 2008 at 11:52 am and is filed under Famoose, Neat-o Sites. You can follow any responses to this entry through the RSS 2.0 feed. You can leave a response, or trackback from your own site. Gaaaaaaah! I have to admit I almost kind of love them. Except for the black stuff, that’s just wrong. The comment about the mustache makes me wonder what he eats now. I love cupcakes (little portable cups of happy) but what some of those people have done to cupcakes is just obscene! Sweet! 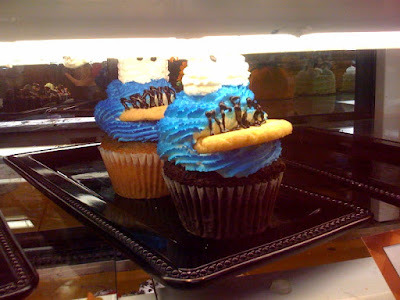 I love Cake Wrecks. Everytime my mom orders a grocery store cake for family occasions I always secretly hope for a cake wreck… so luck so far, though.